Prior to this restoration, carried out by AECOM and Carillion on behalf of City of Edinburgh Council in 2008-2009, the burn was constrained in a narrow, brick-lined channel with little character, offering a very poor habitat and possessing low diversity in species. The aim of the restoration was to reintroduce diversity in the width, depth, flow rates and appearance of the burn, to allow natural morphological and ecological processes to take place following the initial construction. The restoration project involved recreating sinuous meanders, runs, riffles, shoals and gently sloping banks. A new wetland habitat was also created, along with a a flood storage area, surrounded by clay embankments and sheet pile and concrete walls clad in stone recovered from the park’s boundary wall. 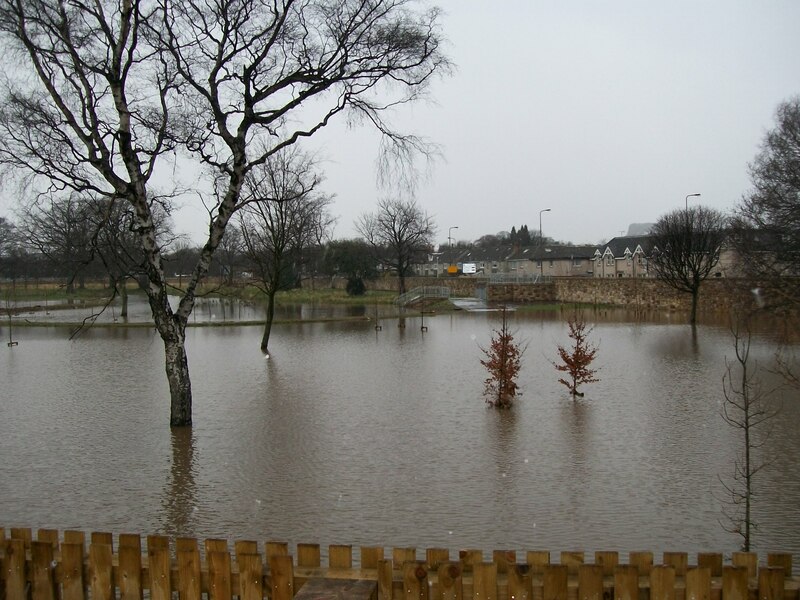 The overall aim was to reduce the risk of flooding to a 1 in 200 year event. During a 2010 flood event the project proved to successfully limit floodwaters to designated flood areas. Further information: Restoring Europe’s Rivers website.